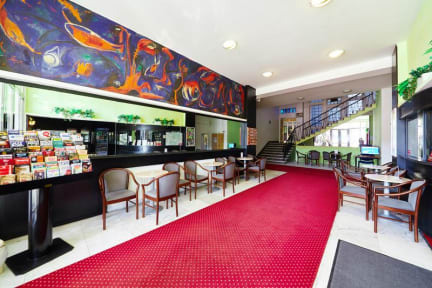 Hotel Mars, Praga, Czechy : Rezerwuj teraz! The percentage above is from whole amount of the reservation. We required 50% deposit from total amount max. 3 weeks before arrival! The newly renovated Hotel Mars is located in a green residential area and was reopened after the reconstruction in September 2010. Our priority is to offer high quality accommodation and excellent services to our guests. You can also use our hotel safe at the reception desk an is free of charge. We can also order a taxi for you , rent a car, sight-seeing trips in Prague and the Czech Republic. You can buy tickets for public transportation. The hotel restaurant is in English club style and we offer here buffet breakfast . If you wish you can book the restaurant for your special events (weddings, conference, meetings, etc.). You can park your car for free in front of the hotel. Hotel Mars is located near a multi-purpose sports complex,offers great variety of sport facilities. There is a swimming pool, a tennis court, ice-hockey and football stadium, fitness and sauna. The park with fountain is in front of the hotel to have a rest. About 10 minutes walk is situated shopping center 'Eden' with non-stop open Tesco Supermarket. We have single, double and triple rooms. All rooms are oriented into a quiet yard. 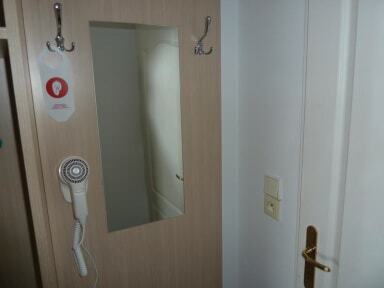 Rooms have bathroom with a shower corner or a bath, WC, TV, satellite and Wi-Fi internet access. There is a lobby bar at the reception desk, where you can buy alcoholic and non- alcoholic beverages. Payment upon arrival by cash, credit cards, debit cards. We accept Visa, Master, Maestro, Dinners, American. This property may pre-authorise your card before arrival. Breakfast not included - 4.50 EUR per person per day. Children under 6 years free on the bed with parents! Pets allowed for a fee 4 EUR/night (pay by arrival)!